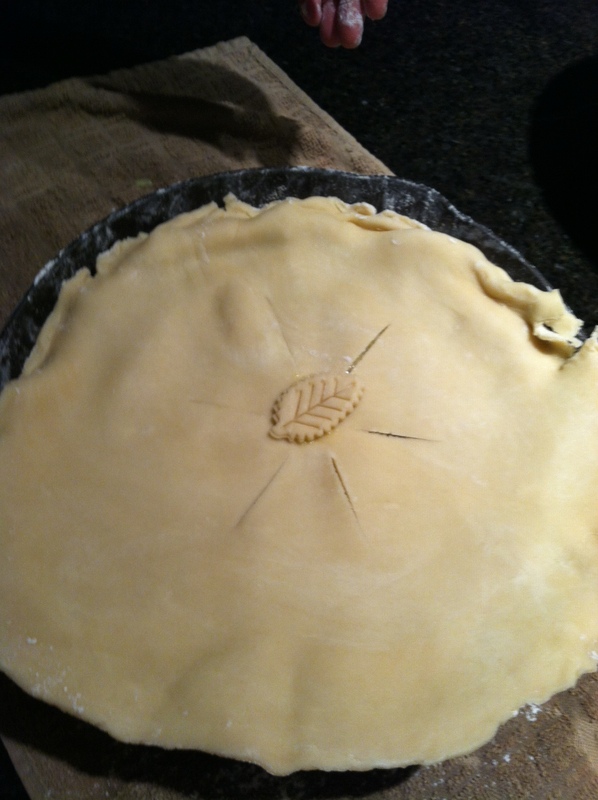 Pre heat the oven to 375 degrees. 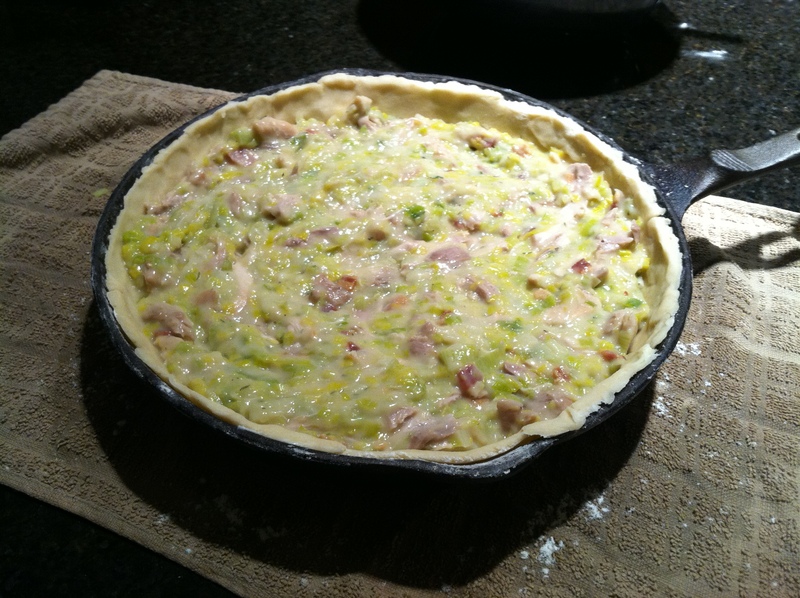 In a large skillet, cook bacon pieces until crisp. Using a slotted spoon, transfer bacon to a plate lined with paper towel. 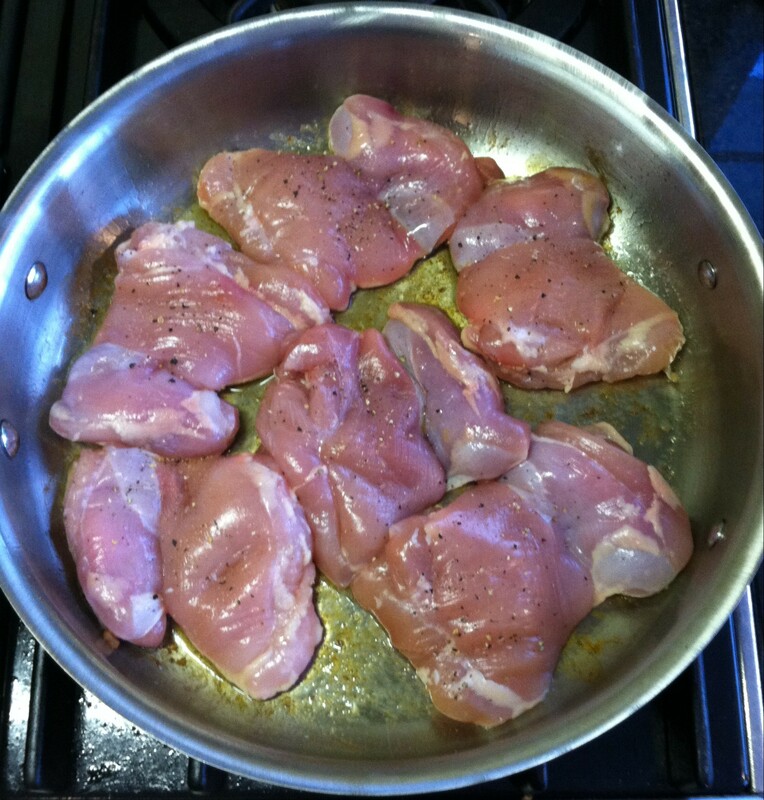 Season chicken with salt and pepper and cook in the bacon skillet until brown, about 3 minutes per side. 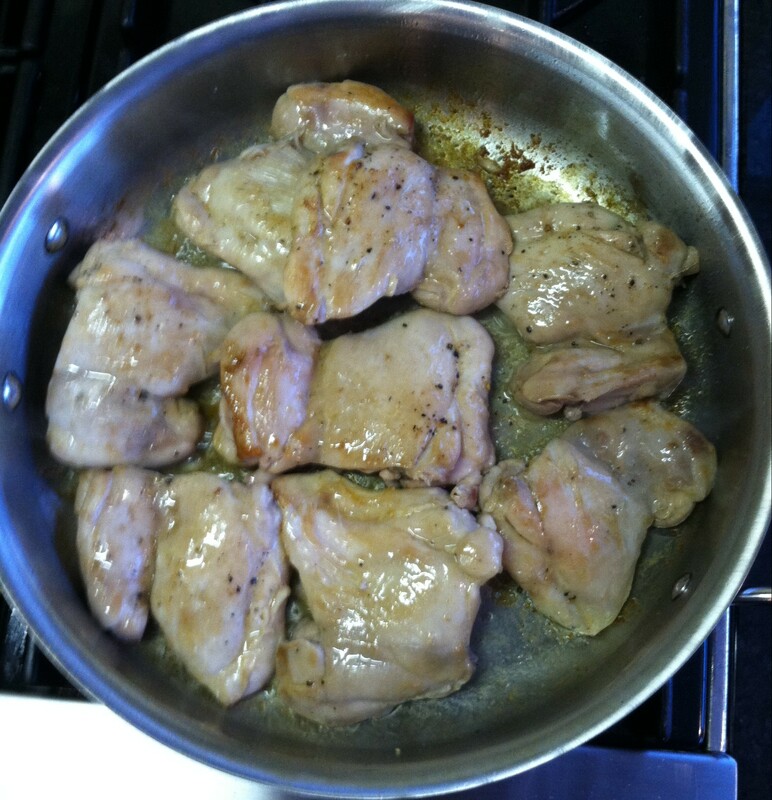 Cover the pan and cook an additional 10-12 minutes to ensure chicken is cooked through, then transfer chicken to a plate. 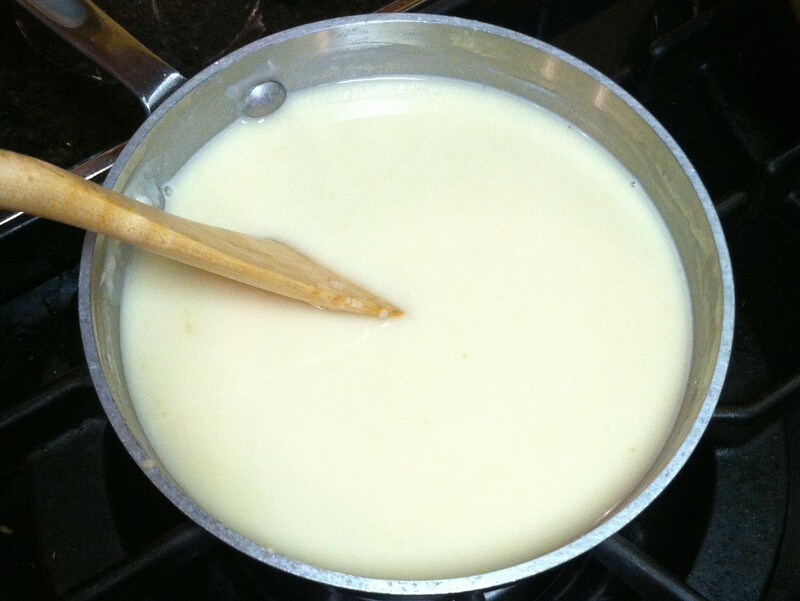 Add leeks to the pan and cook, stirring often, until softened. 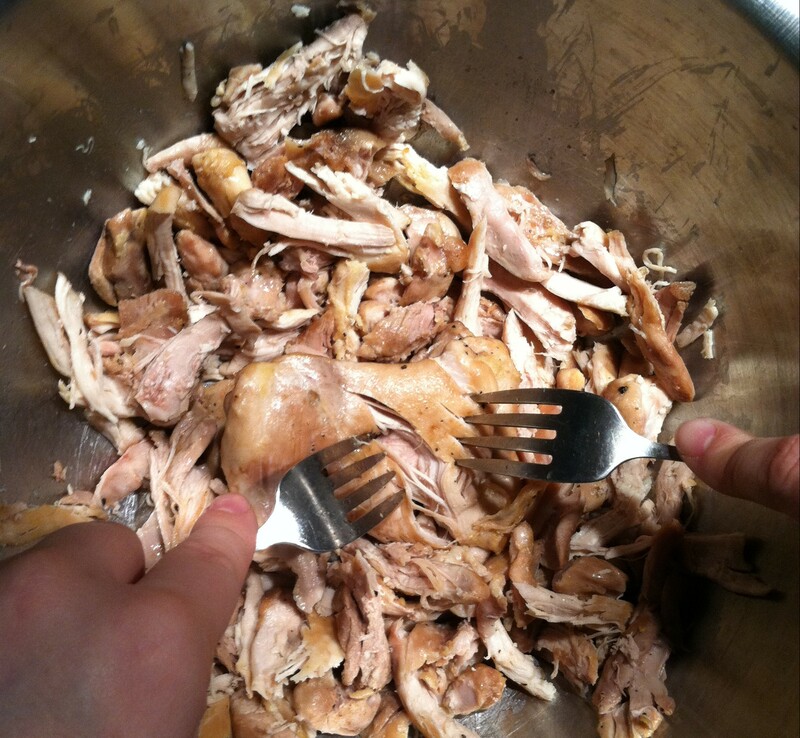 In a large bowl, shred the chicken (using two forks works best). 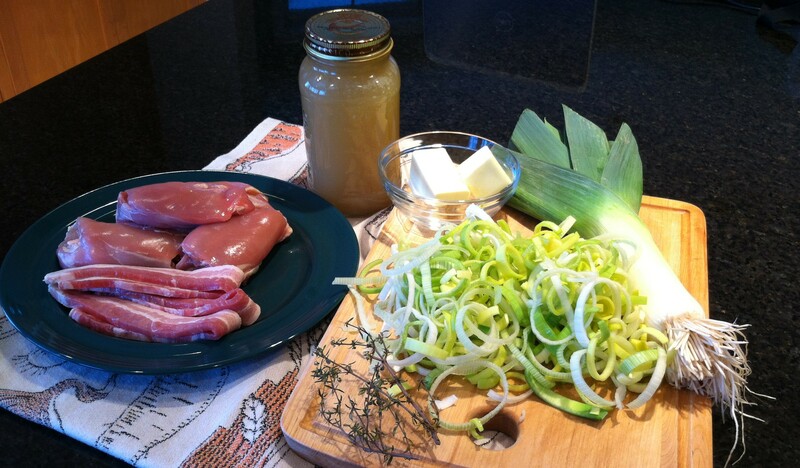 Add the leeks, bacon and thyme leaves to the chicken. 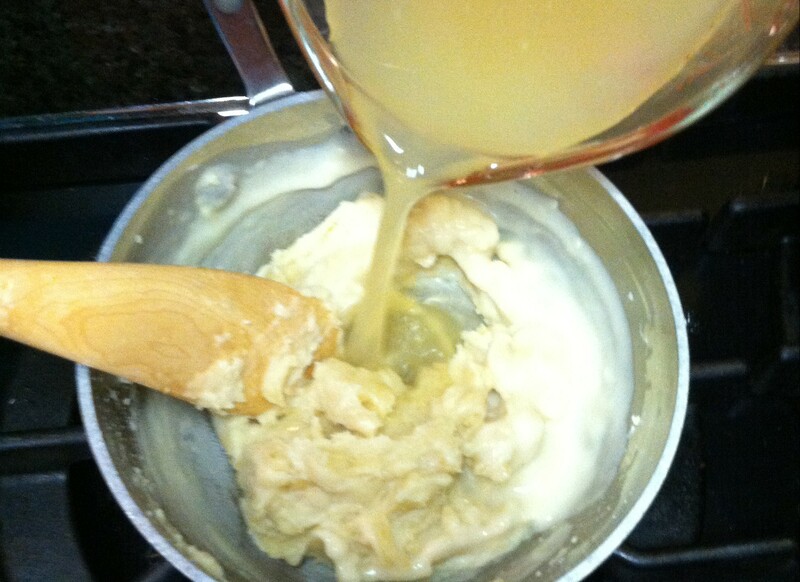 In a medium saucepan melt the 4 Tbsp butter over medium high heat. 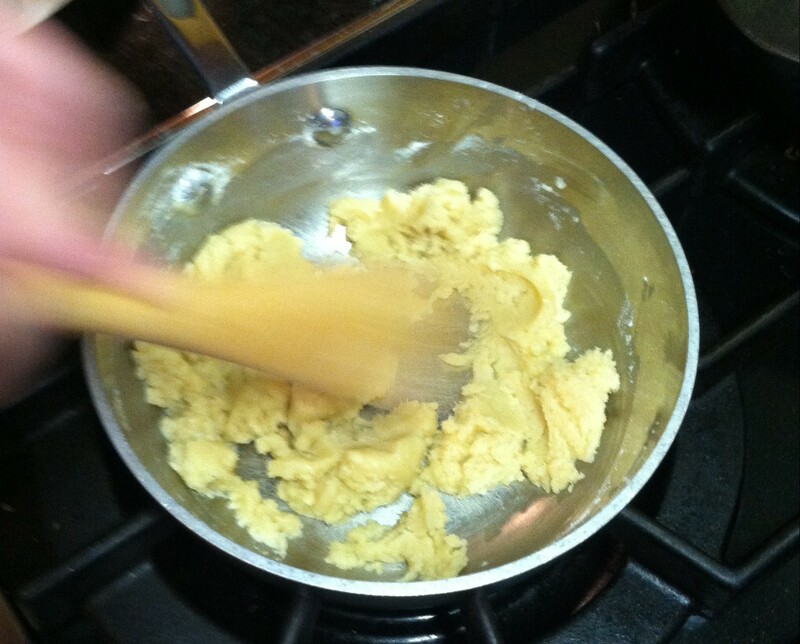 Whisk in 3/4 cup flour and cook, whisking constantly, until golden brown (about 3 minutes), creating a roux. 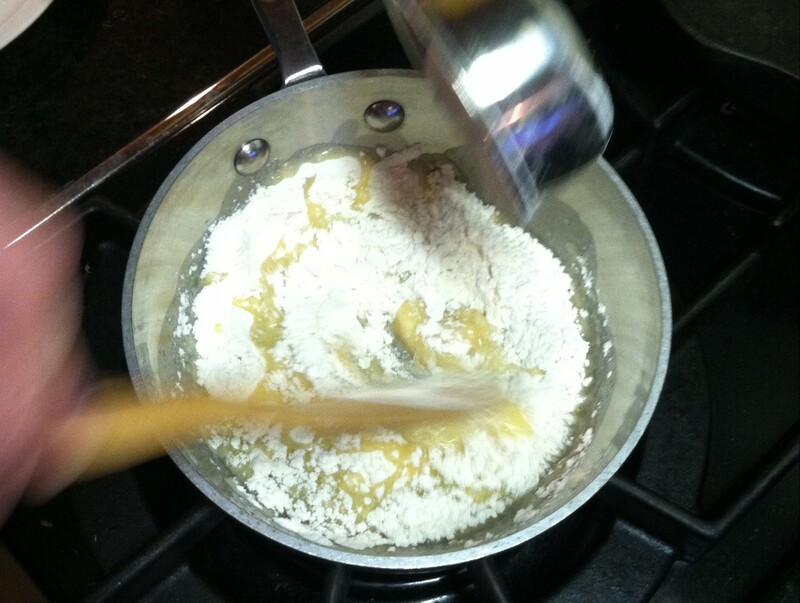 Slowly whisk broth into the roux and simmer until thickened (about 5-7 minutes). 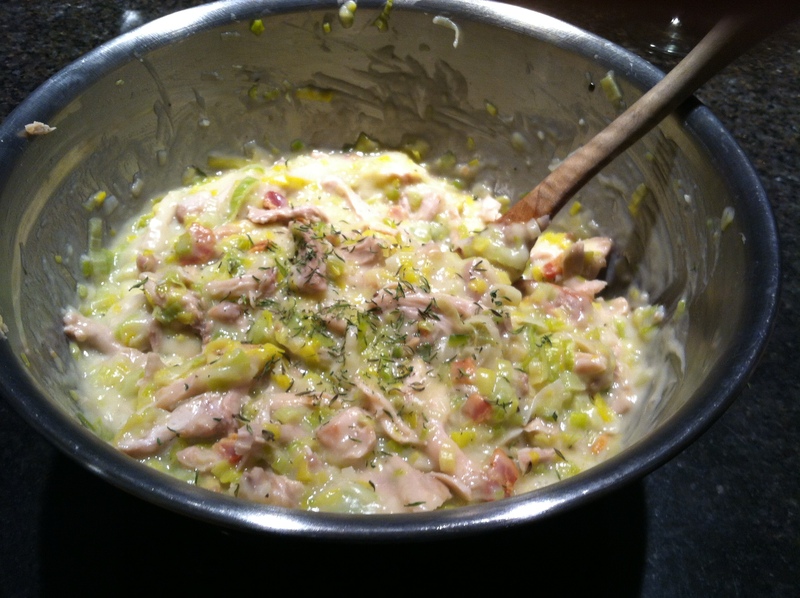 Mix sauce into leek mixture, season with salt and pepper and let cool. 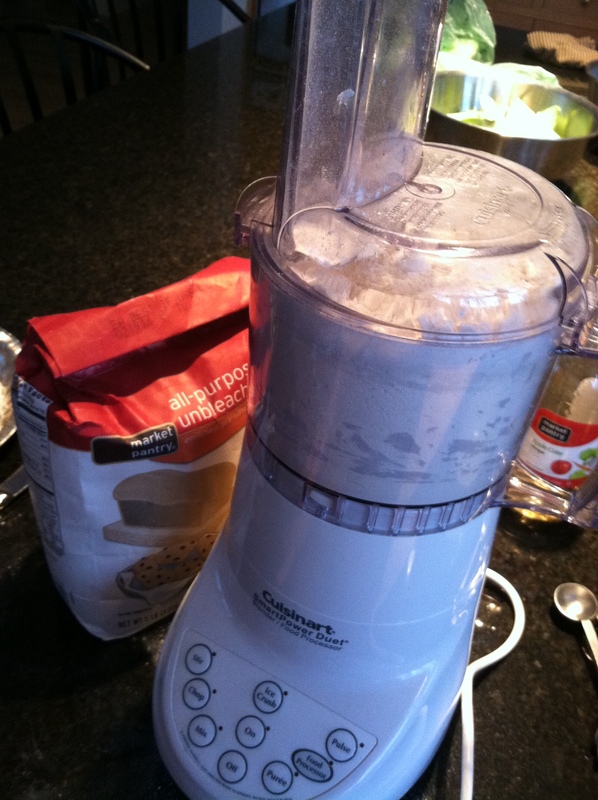 Roll out 1/2 of dough on a lightly floured surface to a 14″ round. 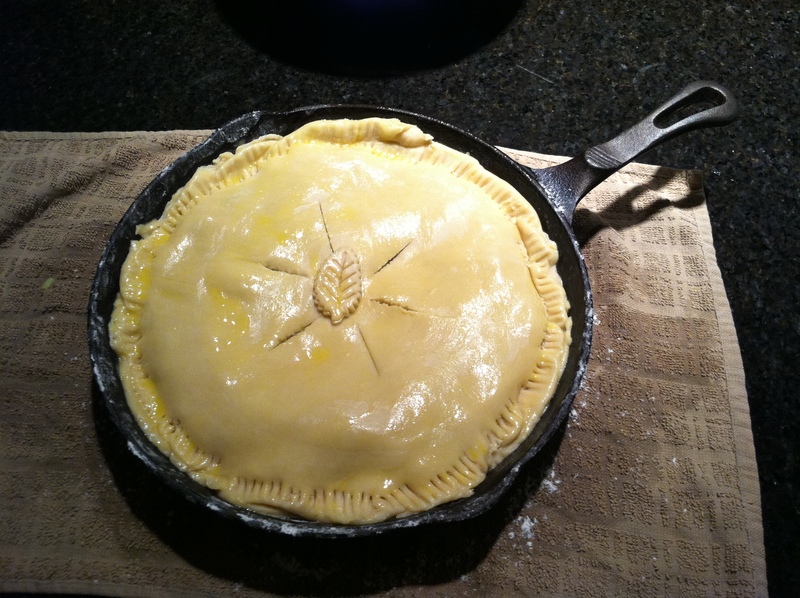 Transfer dough to a 10″ cast iron skillet or 9 1/2″ deep pie dish, leaving about a 1/2″ to 1″ overhang. 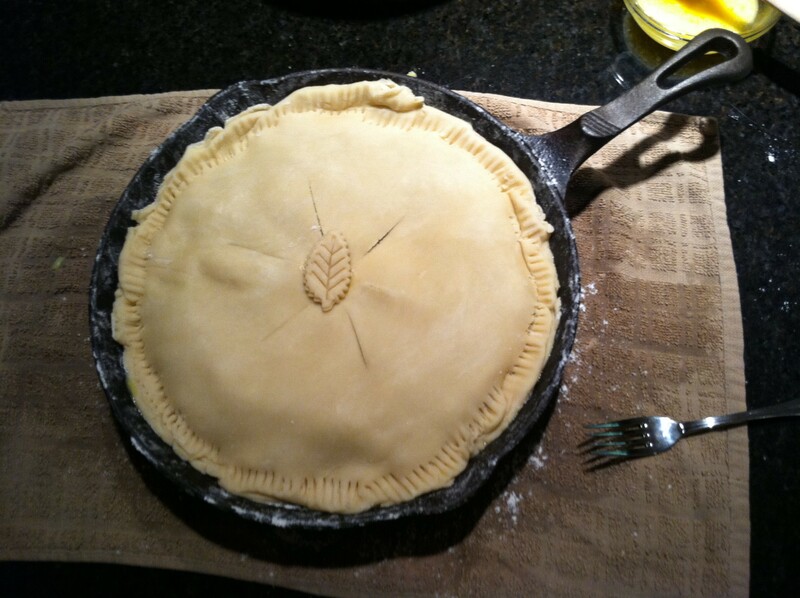 Spoon the filling into skillet or pie dish. 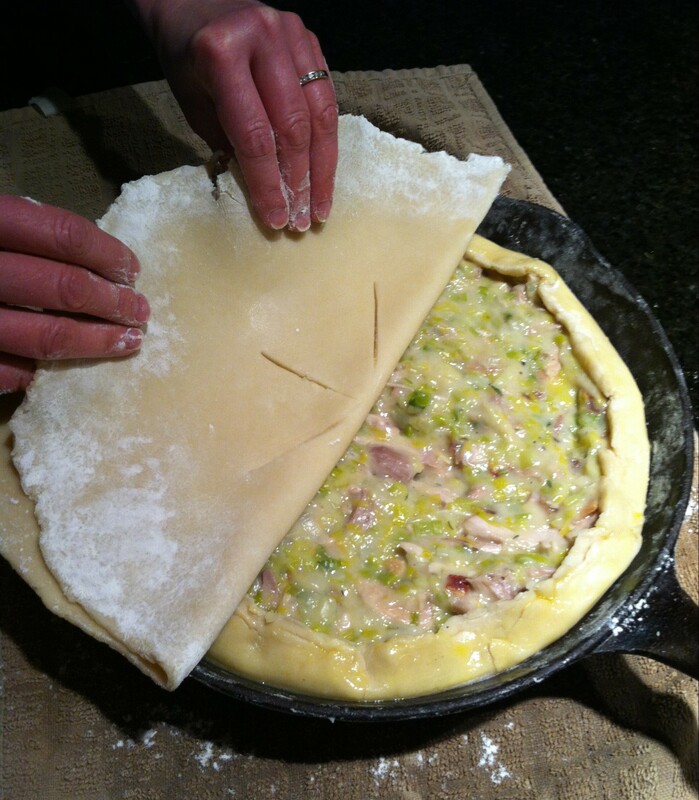 Roll out the second 1/2 of dough to 11″ round, then drape the dough over the filling. 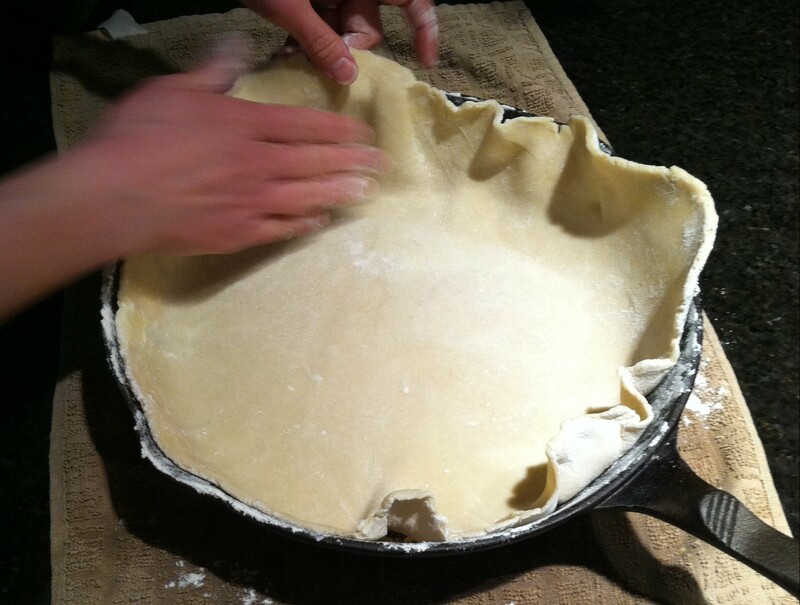 Fold the overhanging dough onto the top dough and crimp with a fork. 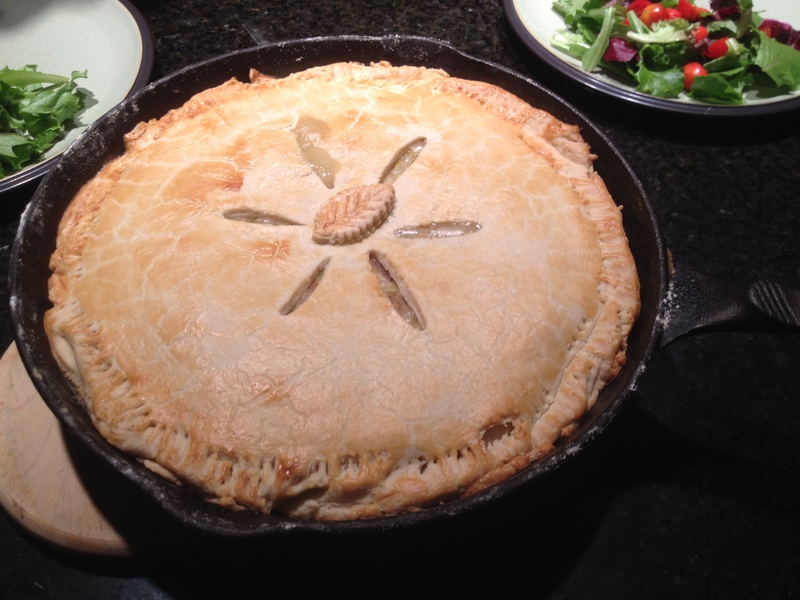 Cut vents in the center and brush the top with the beaten egg. 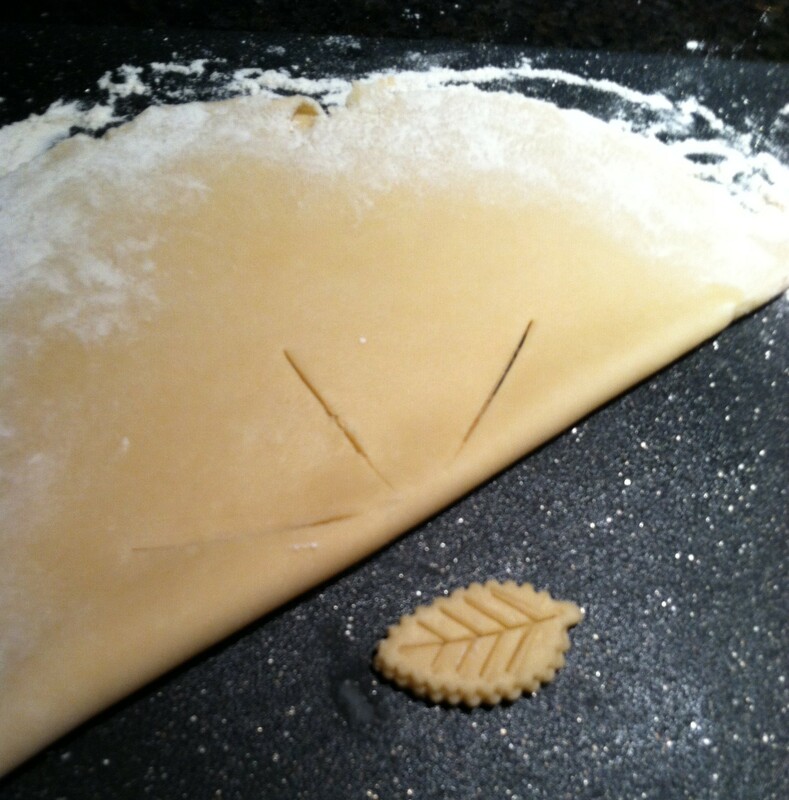 Fold the overhanging dough onto the top dough and crimp with a fork.